Customized cards will only be free if the total quantity exceeds 24 units, in case of a lower number they will not be made unless you buy the additional cards separately. 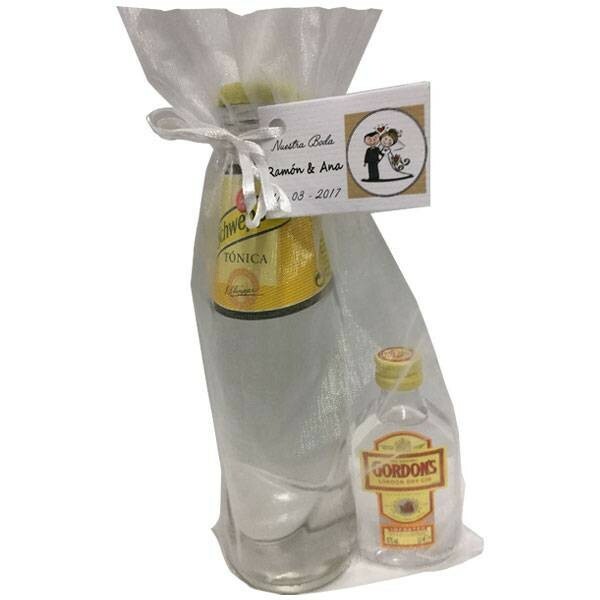 ¿Idea for gift in events? 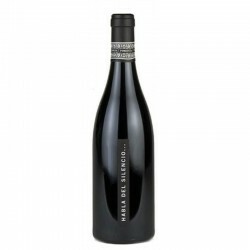 We bring you a new tendency that you will love it! Gift this pack for events with Gin Tonic with Gordon's prepare. Only you must a glass and a litlle of ice. 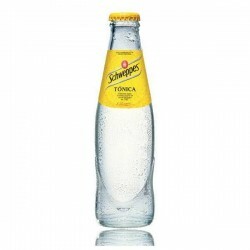 Tonic Schweppes 25 cl in little bottle os crystal. 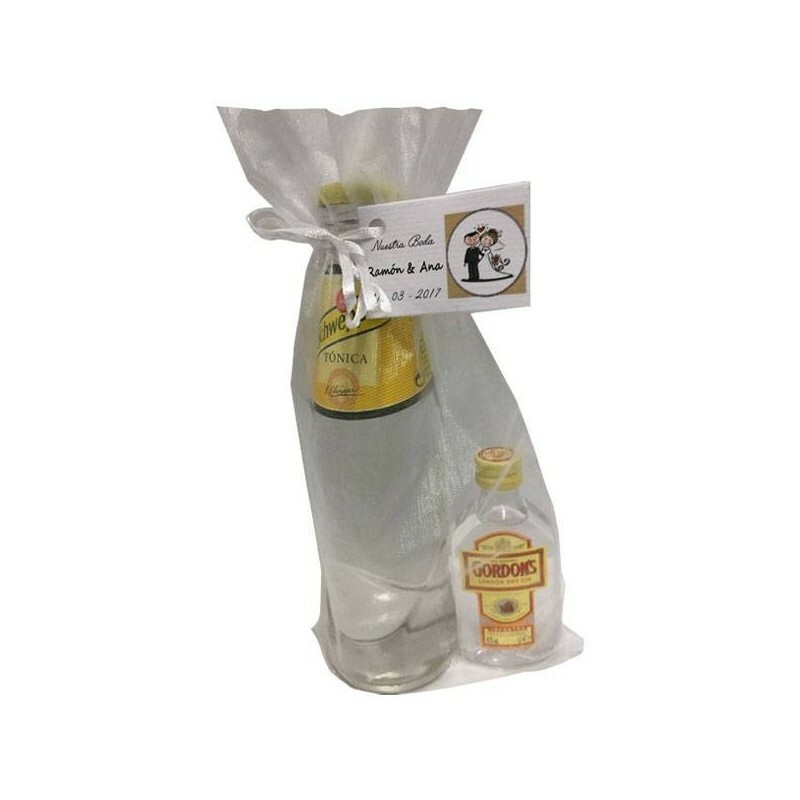 The best tonic with proper noun, drink with gas carbonated, presented in crystal bottle with 25 cl. Gin Gordon's bottle in miniature. Miniature of Gin Gordon's in bottle of plastique of 5cl. 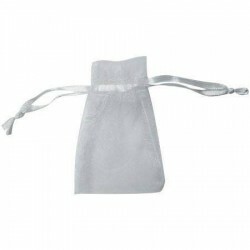 Elegant organza bag of white colour for present the pack of events. 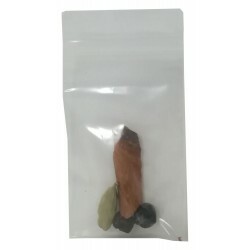 Buying the pack incluyed the card personalized totally free! Measures 3.5 cm of high x 5.5 cm of width. Personalized like you want, good with our catalogue online or good with a picture your own if you don't like ours pictures. 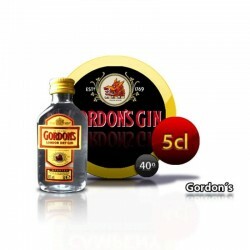 Pack Gin Tonic with Gordon's for events has a rating of 10 out of 10 based on 1 customer reviews.